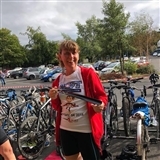 Prudhoe Plodders was born from a volunteer organised Couch to 5k programme to help people who want to improve their running fitness and stamina. We now have over 100 members, but have still retained our friendly, all inclusive membership where all abilities are welcomed. We meet Monday nights at 6:30 pm and Friday nights at 6pm, at Regent's Drive, Prudhoe and run in an enclosed area so no one can get left behind, regardless of their pace or fitness. 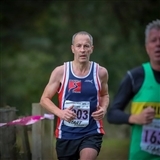 All abilities are welcomed and catered for and the sessions are written by a Level 2 Coach in Running Fitness, and delvered by a qualified coach or run leader.